Artificial Intelligence (AI) is reshaping our day-to-day lives, changing the way we see the world, pushing us out of our comfort zone, and bringing reality to the unimaginable. With the promise of personalization and eliminating mundane tasks, we have allowed AI to become intimately involved in our lives from listening devices in our homes to driverless cars on the road. AI has delivered personalized content in useful ways, but also some invasive ways. Google’s Smart Reply provides sample responses when answering emails. These replies are tailored to how users like to respond and use the context of prior emails to determine what you would most likely say. Chat bots, targeted marketing, and device assistants are all outlets that leverage the power of AI to provide personalized recommendations. AI is also transforming established business models and how we approach software development. Autodesk’s Dreamcatcher AI enhances the imagination of designers with its next generation of product development software using a desired list of customer needs. For example, if a designer wanted a bike to support up to 300 pounds with a seat 16 inches off the ground, made of materials costing less than $75, Dreamcatcher will couple that information with characteristics about other chairs and churn thousands of potential product designs. Designers can even input what they like and don’t like about sample designs to produce another round of suggestions. Imagine using AI to produce 100 application architectures? Imagine using AI to design your testing framework? At every step in the QA cycle, we see AI infusing itself to mitigate key software development issues and accelerate test creation, maintenance, and execution — making it the most important technology for software teams to understand today. Although not every organization is ready for truly autonomous testing, teams can benefit from modular AI investments in software testing to address key issues and lessen the burden from time-consuming tasks. Whether it is a programmer writing test software, an open-source tester, or an automation engineer using a commercial tool, recognizing and manipulating an object model is not only critical to scale test automation, but also a QA practitioner’s top concern. AI provides a major leap forward by being able to detect previously untestable dynamic or highly complex application components across a wide array of different technologies. AI-powered recognition can tackle the challenges of object recognition to scan an application, learn the object model, and recommend a test framework. Object Recognition with AI requires technology that can understand complex consoles and text on images used in day-to-day responsibilities. Critical business applications, including data visualization tools, PDF documents, mainframe testing, database testing, and SAP ERP systems can only be protected with reliable and accurate object recognition that is coupled with AI. Maintaining applications can be a painstaking, grueling task due to the complex architectures and workflows it supports that are intimately intertwined with critical business processes. With the help of AI, intelligent systems can dynamically update test suites when applications evolve. With demands for frequent software releases, teams are constantly looking to find ways to appropriately manage their time and priorities based on business risk by environment, configuration, and critical application workflows. At its core, intelligent systems are based on the principle of inputs and outputs. 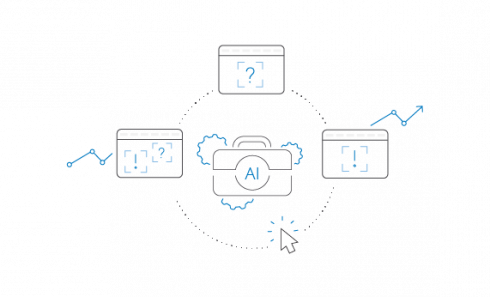 With AI, systems can identify what should to be tested or prioritized based on prior test history or risks that are ranked by criticality, complexity, and performance. Identifying and classifying updates, risks, and defects requires technology that can create AI classification algorithms. Classification, a data mining technique in machine learning, assigns items to a category so that its algorithms can successfully predict where a set of data belongs. Bayesian networks, the most common type of classification algorithm, can help define steps an ideal customer journey embarks on. As AI-powered test automation explores these paths, defects from application updates and enhancements can be identified. An AI classification will then learn from correlations in past results to refine application test coverage through recommended test scenarios based on risk and identified root causes to quickly resolve defects. AI can refocus testing efforts to a new paradigm focused scale, coverage, and impact; where we no longer define the success of QA by the number of defects found or test cases passed, but by customer satisfaction and business impact. Hershey implemented an AI-powered facial recognition to introduce an interactive Smile Sampler that dispenses a chocolate sample when shoppers smile. Imagine a world in software development where we use emotions from facial recognition to measure software quality. AI is introducing new rules of engagement, changing the landscape for customers, businesses, and industry. It is up to software teams to harness this constant change to not only build great software, but also promote perpetual quality for companies to stay apace with an agile software development life cycle. Akshita Deora Puram manages the software testing portfolio at SmartBear. 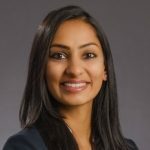 Akshita has over 10 years in the software technology industry working as a system architect, tester, and IT consultant.